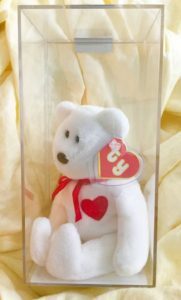 One of the most commonly found Beanie Babies is Valentino. Depending what tags it has, your Valentino could be worth a $1 to a few hundred. 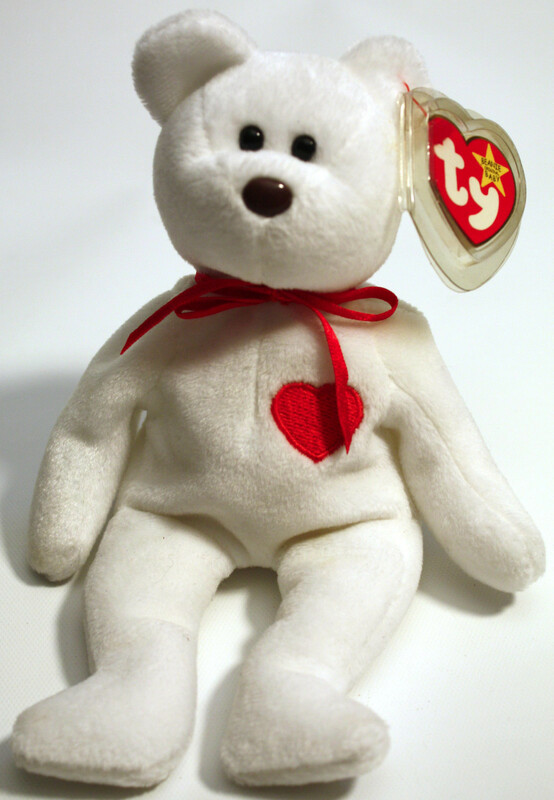 Millions of Valentino Beanie Babies were made, which means most of them are worthless. This guide is to help you figure out which Valentino you have. It is very rare to have that tag combination. Comes with autographed card of Scott Carpenter and Ed Gibson.